The stages of “Your Name” are in various parts of Japan, mainly in Tokyo. In the movie directed by Shinkai Makoto, there are many cases where the motif is actually a certain place and you might come across the place when you sightsee Tokyo. In this article, we will introduce all 22 places of “Your Name” stages! If you would like to visit places that are related to the movie, please read it. Let’s travel around the spots of “Your Name”! Suga Shirine：The place where Taki and Mitsuha reunited at the end of the movie. footbridge：A place where Taki drooped because he couldn’t reach Mitsuha on the phone. Shinanomachi Station：Nearest station from Taki’s house. There is a footbridge nearby, and you can also see Docomo Tower. Docomo Tower：Pencil shaped large building. It appears several times during the movie. Behind Shinjuku police station：Traffic signal that is characteristic of its disk shape. It is seen on a movie announcement as a background scene. Shibuya’s TSUTAYA：Where “Mitsuha inside of Taki” played with Okuda. Roppongi National Art Center：Where Taki and Okuda had their lunch on their first date. Shinjuku station：The scene that Mitsuha gets impressed at Tokyo is in Shinjuku station’s south exit. Yoyogi station：The bench that Mitsuha sat when she looked for Taki was in Yoyogi station. Hida-Furukawa Town**：**Though the city of “Itomori” that Mitsuha had lived is a fictional city, it is said that the model of the “Itomori” city came from around the Hida-Furukawa town in Gifu Prefecture. In the movie, the scene which 3 children including Taki went out looking for Mitsuha asking around the people living in town by relying on the paintings painted by Taki, are all present in Hida-Furukawa town. Like in the movie, you can feel good old Japan in a peaceful town where the original landscape of Japan remains. Hida-Furukawa Station Bridge**：**The station which Taki and the others arrived when they got to the city of Itomori is JR Hida-Furukawa Station. The Hida Beef mascot character that Okudera and Tsukasa had their interests exists inside the station. The scene that firstly showed Itomori city when they got off the train model from the scenery seen from the northern overpass bridge right out of the station. Front of Hida-Furukawa Station**：** The scene that Taki asked the taxi driver for the direction showing the picture he drew when the three got out of the station was taken in taxi stand of Hida-Furukawa station. You would use Hida-Furukawa station if you want to go to Keta-Wakamiya shrine of Hida city library so please look through the scene of “Your Name” modeled from Hida-Furukawa station. Bus stop near Kado River**：**The scene which Taki and the others are at a loss because they could find anything, is taken from a small bus stop with a red roof that is located along the National Highway 360 line along the river, about 5 minutes’ walk from Takayama Main Line ‘Kadogawa station’. It is in a mountain deep place and trains are only about once in 2 hours so take care on time distribution. 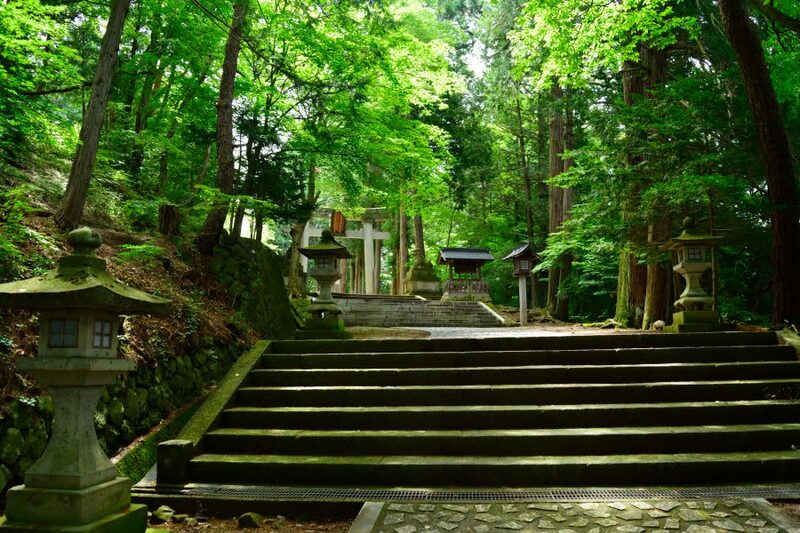 Keta-Wakamiya shrine: It appeared on a scene which Taki asks the residents where the place is showing the picture he drew. Mitsuha’s house is made by modeling and mixing Keta-Wakamiya shrine and Hidasan-nougu-Hie shrine. The stairway inside the mountain that appears at the ending part of the movie model from a road in Hie shrine. **Hida City Library****：**Where Taki and the others looked for town of Itomori’s history. Appearance and interior are almost drawn as they are. There are actual seats by the window which three of them sat. It is adjacent to Hida City Hall, not to Itonomori City Hall like in the movie. Lake Suwa**：** Although Itomori is a town formed along a large round lake, it is said that it modeled from Lake Suwa of Nagano prefecture, next to Gifu prefecture. Please go to Tateishi Park if you want to see the whole lake like in the movie. 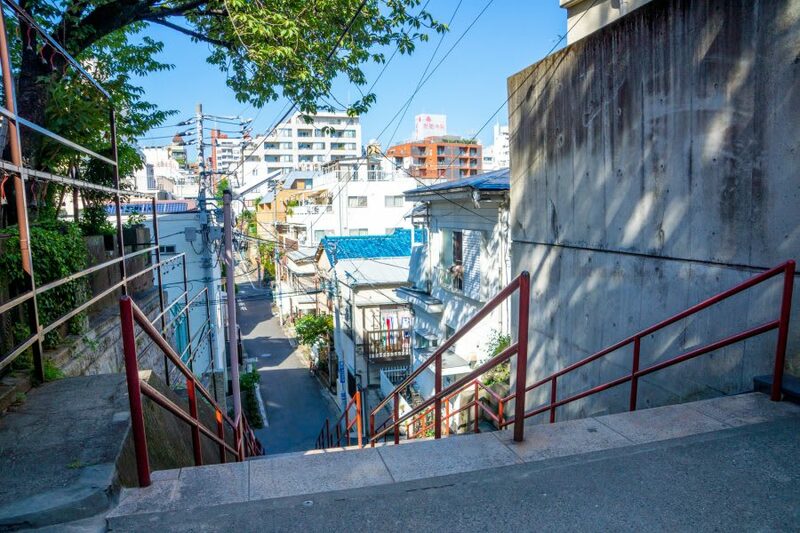 You might enjoyed the world of “Your Name” if you go there at “katawaredoki”. Nagoya station is located on the midway of where Taki and Mitsuha lives. Taki, Okudera and Tsukasa landed on Nagoya station to change trains. 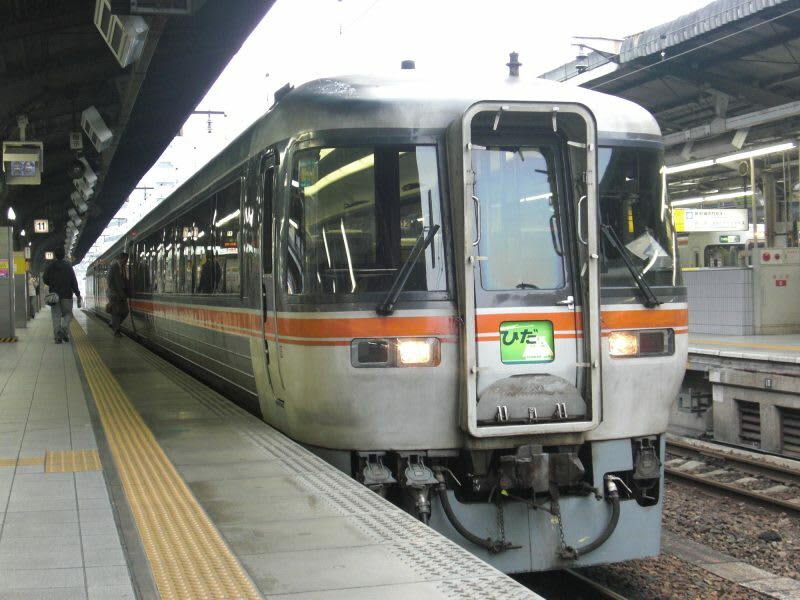 In the movie, they get on “Limited Express Wide View Hida” from Nagoya station to go to Itomori, and you would actually use it to go to Hida-Furukawa, the model of Itomori. Nagoya is also a very popular tourist spot for foreigners visiting Japan. There are historic buildings such as Nagoya Castle and Atsuta Jingu, Toyota Industrial Technology Museum and others are located. Jingu Highschool that Taki goes to is located in Hiroshima Prefecture, not in Tokyo. The school is beautiful as it came out in the movie with its innovative design. That is because it was designed by Hiroshi Hara, a famous highly evaluated modern architectural designer who had designed Kyoto station and Umeda Sky Building. It looks as if it is a museum because of a sunlight coming from open ceiling. 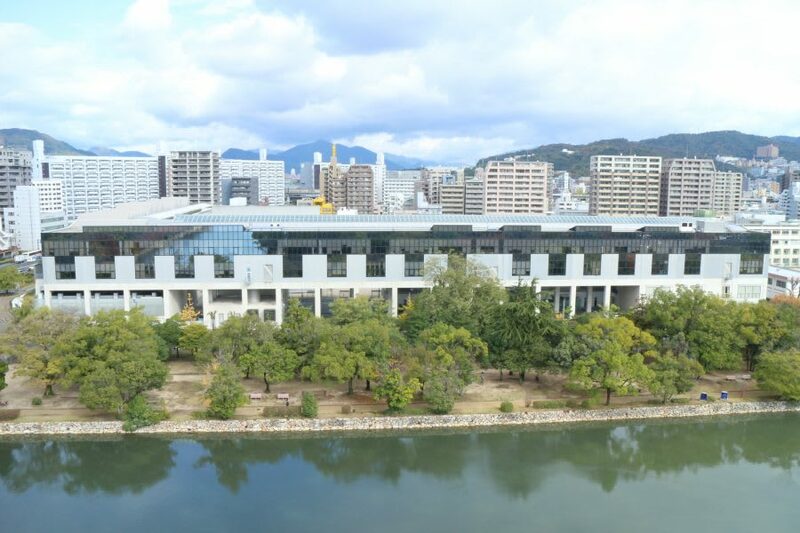 It is difficult to get inside, but you could see the appearance of the high school in the same composition as you came in the movie from Hiroshima castle’s castle tower next to the school.